Wow, what a powerful book. As the cover suggests the story is a little dark and ‘edge of seat’, the first chapter had me wondering just what I had picked up, so I took a deep breath, and continued reading. I soon discovered I couldn't put it down. I normally am not a reader of paranormal, and confess to not realizing that’s what this story is at first, but I read late into the night, turning pages in a way that would have gratified the author. His writing transported me to a very unnerving place in Ireland (the guide to pronunciation of Gaelic words also helped take me there). If my experience is anything to go by, genre preference has little to do with captivating a reader. The story begins with a boy about to end his life and the death of a school friend, uplifting, not really, but not depressing as I thought it would be. The story touches on Irish history and folklore and has some very surprising twists and turns making it a book that is difficult to put down. Darragh McManus is an author, journalist, playwright, and screenwriter. 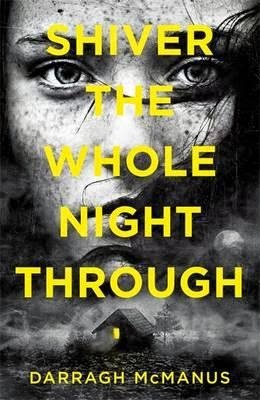 Shiver the Whole Night Through is his first YA book. He has previously published two crime novels and a comic novel. The book if read in a senior classroom situation would raise healthy discussion. I found it thought provoking, the serious matters of suicide, bullying, revenge, and peer pressure, are raised in this story. The characters are fully formed and each supports the main character well. The story gives room for sequels and I am sure each would be an enjoyable read, in fact, I see a movie.